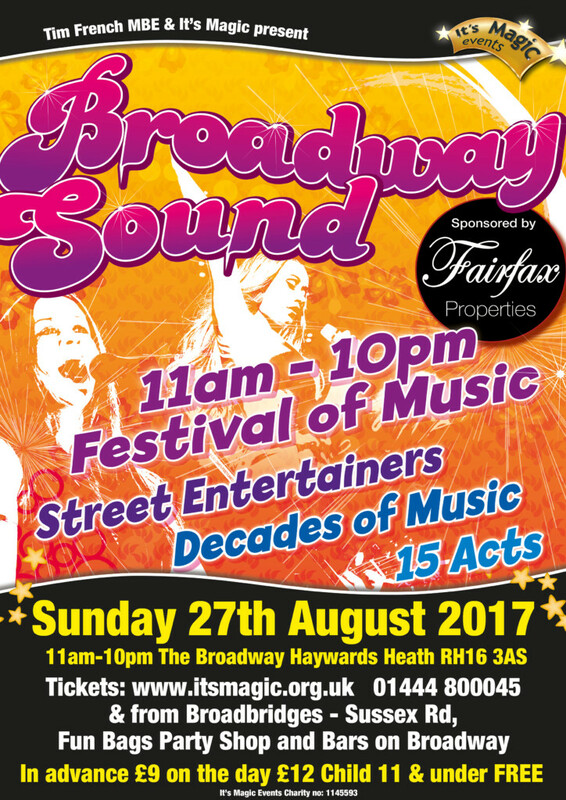 The ‘Broadway Sound’ is a magical summer street party taking place on Sunday 27th August 2017, 11am to 10pm at The Broadway, Haywards Heath, RH16 3AS. The Broadway area will be closed to traffic for this unique event with additional seating areas spilling out into the road from the cafes, bars and restaurants. Two stages will be set up (one at each end of the road) which play host to 16 performances from a cross-genre music including Jazz, Folk, Rock, Classical, Pop and Blues, providing back to back music from 11am until 10pm. Tickets cost in advance £9 (£12 on the day) Child 11 & under FREE (no ticket required).